Recent research is crystal clear on the amazing environmental benefits of indoor plants, from naturally improving air quality to providing a psychological boost in the workplace. But will indoor plants add excessive strain to your property maintenance? Plant care can be a laborious task, but there’s no need to lose out on healthy vegetation, with our tips for choosing the best plant options for your space. Often the first hurdle, water requirements are a crucial factor when choosing the right fauna. Gauging the water needs of thirsty plants can become difficult, with over-watering and under-watering as a constant risk. Plants with low water needs reduce a lot of this guesswork, meaning less maintenance. BEST BET: Any plants with thick, fleshly leaves need less water. Luckily, many plants with these features are currently in vogue, from adorable miniature succulents to the lanky snake plant. A towering shrub may provide a dramatic profile, but may quickly outgrow a space and become too unwieldy. On the other hand, plants that require direct light will wither under indoor florescence. If you don’t plan on swapping plants regularly, opt for low light plants with a slow growth rate, which shed less and require little pruning. BEST BET: Experiment with hardy shrubs like the cast-iron plant, as its lush leaves have a big impact without growing too quickly. True to its name, cast-iron plants also thrive in the low light and low humidity of the office. As beautiful as flowering plants are, their excessive pollen can trigger allergies. Skip the hassle and choose plants that not only avoid irritation, but clear the air of other allergens. 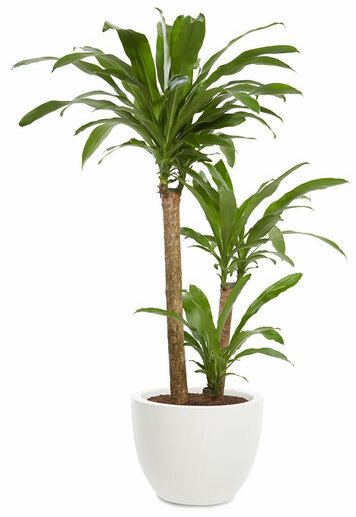 BEST BET: Plants like the Areca Palm make wonderful air humidifiers, introducing much-needed moisture into often dry, air-conditioned spaces. Others like the Dracaena help by trapping allergens in its shinny deep green leaves. 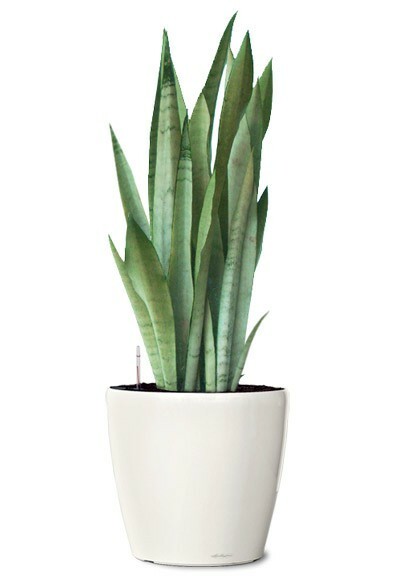 Just make sure that these plants are delicately wiped regularly to avoid collecting dust.